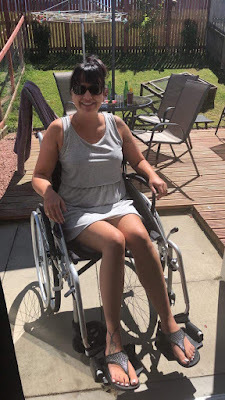 My name is Claire, I am 36 and I’ve been diagnosed with Functional Neurological Disorder. A lot of these are similar to the symptoms of Parkinson’s Disease or Multiple Sclerosis. I also have IBS, anxiety, Chronic Fatigue Syndrome and migraines. From around 2013-2018 I had been suffering with lower right abdominal pain. Sometimes ending up in A&E because it was so bad. I was referred to a Gastroenterologist who diagnosed me with IBS. I attended dietitian appointments and was on the Low FODMAP diet for around a year. I was still in so much pain my dietician told me this wasn’t to do with my IBS. Multiple trips to the hospital with all tests coming back normal. One day I went to my doctors in agony and numbness in my right foot, they put me on Gabapentin. Finally someone was listening. Things got progressively worse and I started having numbness more often in my right leg and shooting pains from my groin to my foot. I had several scans to check my ovaries which came back ok. But still the pain was unforgiving. In time my whole right side felt different, my face was sore, my ear and my right eye had burning pain and my right arm was weak. I was eventually referred to a neurologist in early 2017 where I was sent for an MRI. Whilst waiting for this appointment, I became so tired and run down.. I was on holiday with my family and my legs just gave way without warning. At this point I thought I was going to end up in a wheelchair full time. It was so scary. I was off work periodically but eventually got signed off long term when I fell down my stairs and realised how serious this all was. In total I’ve had 3 abdominal scans, two internal scans, two MRI scans and a laparoscopy. My neurologist found positive signs in order to diagnose FND. I have brisk reflexes and positive Hoffman’s sign bilaterally. I count myself to be one of the lucky ones, I feel like my doctors supported me, believed me and took appropriate actions in order for me to gain a diagnosis. I know this isn’t the case for many sufferers. 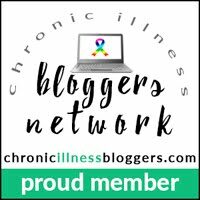 In May 2018 I was officially diagnosed with Functional Neurological Disorder. I was relieved I had a name for it, that I wasn’t going mad. I was given a website to look at and referred for Neuro physiotherapy. I had to wait 5 months for this appointment so was basically house bound for all this time. In physio I had to basically re-train my brain, it took very small steps and at least 6 months to be able to walk without my crutch. I have had to slow my life down and can’t over do things, but I am a determined person and want to push to stay on my feet.. literally! I have decided to climb Ben Lomond to raise money for FND hope so hopefully things can change the poor and unfair treatment of people suffering with FND. The way I deal with my illness is take each day as it comes. I can now only work part time and have battled to find a balance that works for me. I only work two days then a day off then two days then the weekend off. My job is very relaxed and understanding, I can work round my symptoms with FLEXI time which I appreciate so much. There is hope and although I’m currently in a relapse I remain positive I can recover again.